In a bizarre sequence of events that will give anyone pause to consider how far videogaming has come in its relatively brief existence, Call of Duty and Destiny publisher Activision have announced that they have taken on the services of former New York City mayor Rudy Giuliani to fight a lawsuit filed against them by former Panamanian dictator Manuel Noriega. The lawsuit centers around 2012’s Call of Duty: Black Ops II, whose single player campaign partially takes place during the 1989 U.S. invasion of Panama. The Black Ops series of CoD games are notable for involving real-life figures such as John F. Kennedy and Lt. Colonel Oliver North in fictionalized versions of historical events from the 1960s to the 1980s, and Manuel Noriega is one of those figures. His depiction in Black Ops II , as befits a brutal dictator and convicted drug smuggler, is less than flattering. He is shown murdering his own men in cold blood, getting slapped around a bunch of times by American soldiers, and is referred to as “old pineapple face” by several characters. 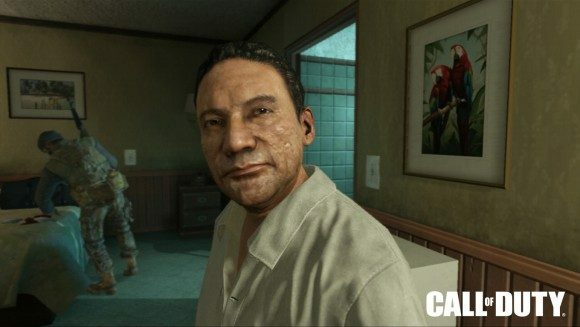 Understandably, the 80 year old ex-dictator, who is currently serving a prison sentence in Panama, wasn’t particularly delighted with his portrayal in the still- wildly popular Call of Duty entry, and filed the lawsuit in the Los Angeles County Superior Court in July. The lawsuit alleges that the game damaged his reputation by portraying him as a “kidnapper, murderer, and enemy of the state,” and that because his image and name were used, he was entitled to a cut of the game’s profits. What’s astonishing is that Manuel Noriega, a notorious dictator who is in prison for the heinous crimes he committed, is upset about being portrayed as a criminal and enemy of the state in the game Call of Duty. Quite simply, it’s absurd. I’m not interested in giving handouts to a convicted murderer and drug smuggler like Manuel Noriega who is demanding money from Activision and its popular Call of Duty franchise for simply exercising its right to free speech. Noriega’s attack on the rights of Call of Duty comes as no surprise considering he’s a lawless tyrant who trampled over the rights of his own people. He went on to compare the lawsuit to family members of dead terrorist mastermind Osama Bin Laden suing the filmmakers of Zero Dark Thirty, and said that the lawsuit’s success would open the door to a potentially rampant infringement of the rights of creative works that depict historical and political figures. Giuliani then praised Activision as “a good decent American company,” citing their employment of over 5000 military veterans. Activision and their legal team will file a motion to have the lawsuit dismissed under California’s anti-SLAPP (Strategic Lawsuit Against Public Participation) statute, a state provision designed to protect victims of lawsuits that are intended to censor and intimidate them. SLAPP plaintiffs don’t actually expect to win their lawsuit, but instead aim to have the defendant back down from their position due to mounting costs from legal defense. It’s highly unlikely that a company as huge as Activision, aided by one of the most widely recognized politicians in American government, will have any problems dealing with a lawsuit from a former despot currently rotting in prison.